This is my first ever contact lenses product review and when I review an email from them was so excited (yes, I was over the moon). First of all, by now many of you can guess that I do wear glasses from my recent tweet and past blog post complain about my eyes (and my braces). I love wearing my glasses even though my whole family and friends complain that it creates a bump on the nose bridge. I really never seem to care, since when I usually wake up in the morning at 6 am to school I really don't care about how I look appearance wise. However, if I ever get the chance especially those days special days I tend to grasp that moment to make myself look stunning (i try my best to do so). And one way of doing so is by wearing contact lenses and give my glasses a break (like at this moment I am wearing my lenses). However, due to my prescription I wasn't always able to get designed contact lenses, but it all changed at the moment when I received an email from Uniqso.com. 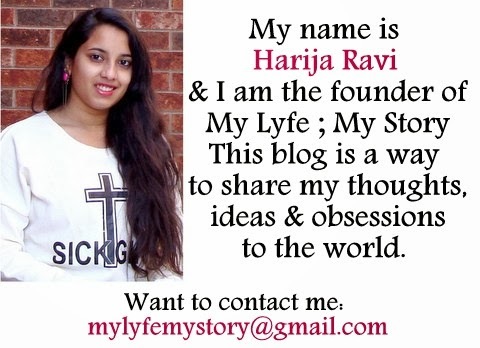 This website has all sorts of lenses and when they gave me offer to review a contact lens for them. I just jumped right into their wagon. Here is a quick info of "Uniqso.com" from their website. 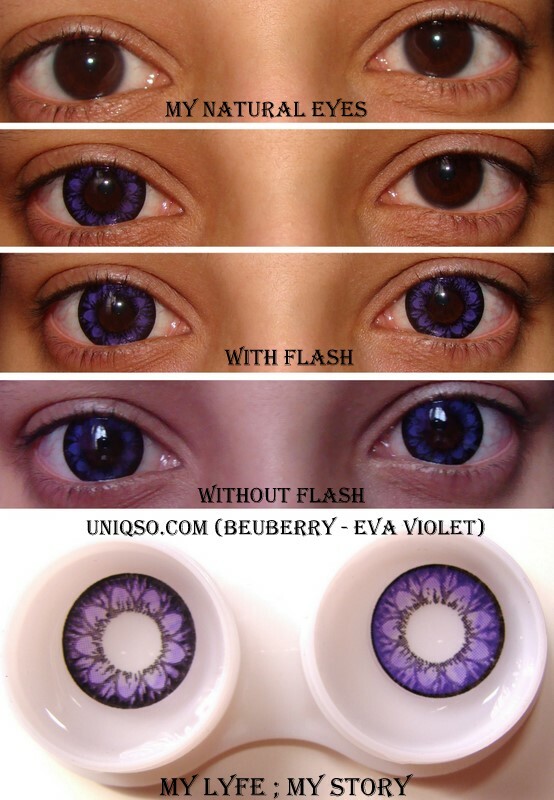 Uniqso.com strives to provide the best quality colored contact lenses & circle lenses, sharingan contact lenses and crazy eyes contact lenses in market. We have variety of designs such as Hello Kitty, Stars, Flowers & etc; variety of colors such as Brown, Grey, Gold, Pink, Blue, Green & etc; variety of sizes from Natural Big Eyes (14mm) to Extra Big Eyes (18mm), variety of circle lens brands such as Beuberry, Cici Eye, Dolly Eye, Fynale, I.Fairy, Kimchi, Kitty Princess, Show Mix & GEO lens. And also, we offer the best quality big eyes accessories such as mascara, eyelashes, liquid eye liners and more to come. Those brands include Etude House, Kiss Me & Voce Moda. So grab some big eyes lenses & accessories now, make your eyes appear bigger & adorable! 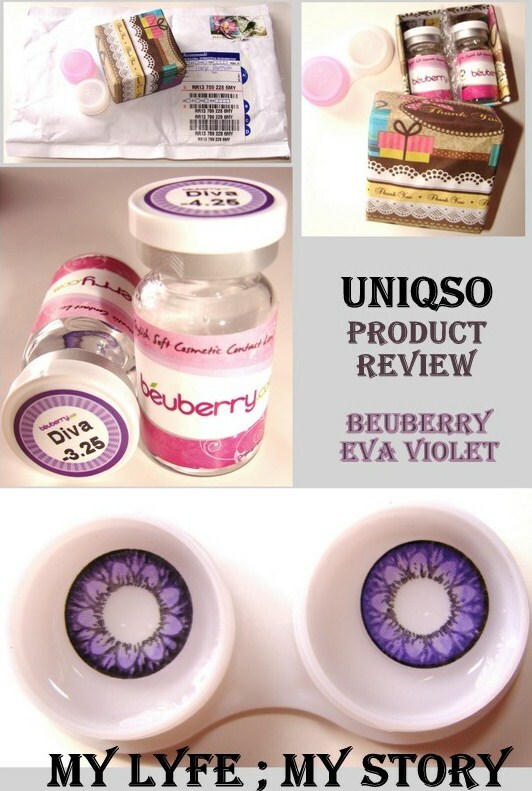 For the product review I chose the do a review on (Beuberry - Eva Violet) Contact Lenses. Before heading straight to the product review I would like to give the company a some credits for their amazing packaging. When I received that package I was so overwhelmed just by the appearance and right at that moment I gave them five stars (even more). Plus, the bottles was also so cute. Overall, I love the quality of the lens and would definitely will be purchasing more from them (I already have some in mind). Even though I have a very dark brown coloured eyes, the lens were able to make eye pop out and change my eye colour. The black rim on the lens design had enlarged my eyes as well, plus it makes my eyes pop even without any makeup on. Furthermore, it is really easy to apply and does not dry out at all to my surprise. I am really in love with this colour and with this online store, Uniqso.com. 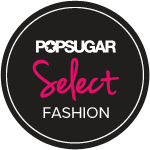 Also, the members of Uniqso.com was so sweet enough to make create a discount code for you (my readers) to save 10% your very own purchase! Check out the website "Uniqso.com" and tell me what your favourite coloured lenses? FTC: Uniqso.com sponsored the Beuberry - Eva Violet for my honest review. I was not compensated to make this entry and this is 100% my honest opinion.